When you’re playing NetEnt game developer’s Mega Fortune Dreams video slot game, you might be hearing Frank Sinatra’s famous “Singing in the Rain” in your head. 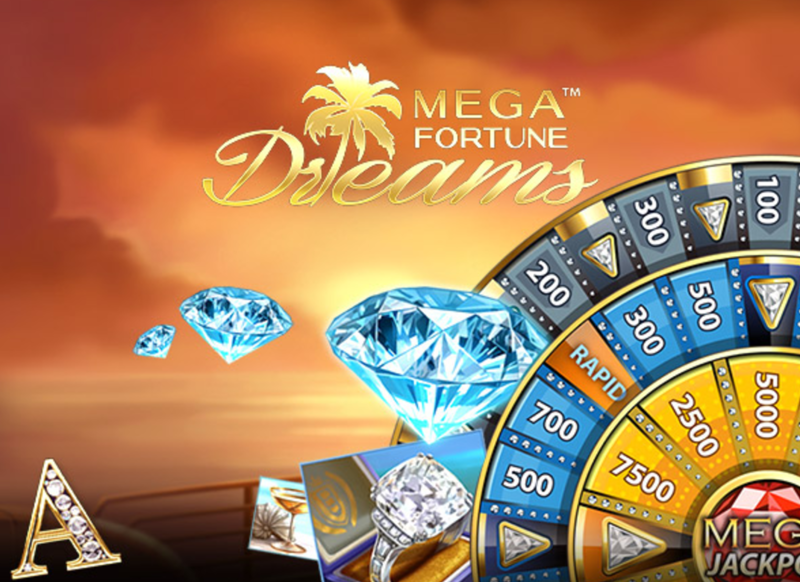 Not because it might be raining outside whilst playing but due to the fact of Mega Fortune Dreams being the predecessor of the hugely famous Mega Fortune video slot. As usual, NetEnt won’t disappoint with this new game. In this article we’ll give you a review and dig deeper into the details. If you want to find casino bonus offers for 2017 there is also many sources for that. These can sometimes give you advantage when it comes to getting value when playing on Mega Fortune Dreams. Needless to say, Mega Fortune Dreams has big shoes to fill. Mega Fortune might very well be among the most popular video slot game in online gaming history. At the same time, we can be sure that NetEnt wouldn’t make the mistake of introducing a following-up game with a huge flop! 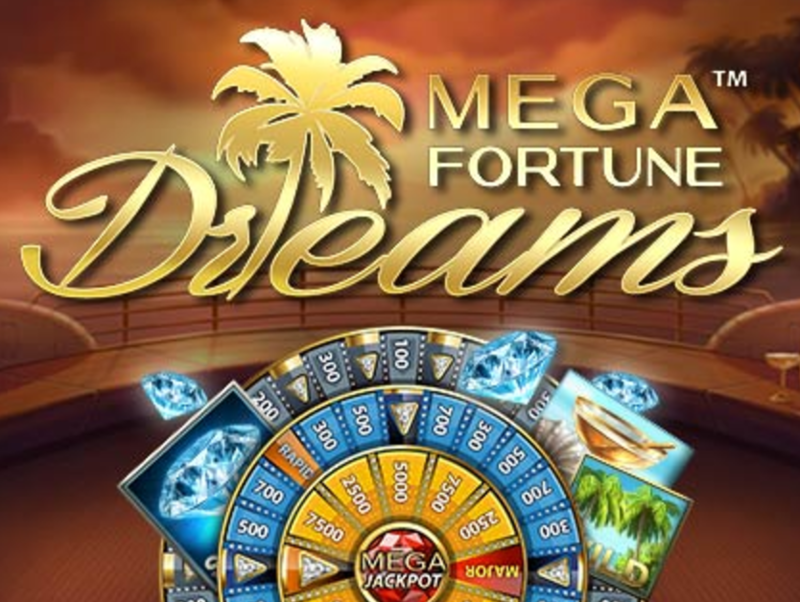 Mega Fortune Dreams is a five-reel and 20-payline progressive video slot classic. Maybe a Pete Pessimist reading this review might ask how in the world could a traditional video slot be more innovative than the rest. To that we say, keep reading Pete and you’ll find out! The first striking characteristic can be found in the reels, which have a truly luxurious design. The interface has a pleasant background, which almost reaches out from the screen to caress the player’s eyes. The background is a beautiful blue sea with a luxurious yacht reminding the player what to expect in the event of winning a jackpot. The reels have luxurious items, such as a diamond filled handbag, a golden watch, a diamond ring, a half full martini glass, and a bucket of champagne. Rest assured the champagne is probably not from Wal-Mart. The palm trees are the Wild symbols whereas the dashingly bling-bling diamonds acts as the Scatter. Last but not least, a shiny wheel represents the Bonus symbol. After seeing the symbols you’d think you stepped to one of Trump’s casinos! The Wilds symbol is your best path towards riches because the Wild replaces all other symbols except the Scatter or Bonus symbols. If you manage to get three or more Wilds in any of the reels during both the normal and free spin game, you’re rewarded with an extra free spin. The same applies to Scatter symbols. As a matter of fact, three or more Scatter symbols in any of the reels give you more free spins. The amount depends on the quantity of Scatters. The delicious multipliers can boost your winnings tremendously! If you get three or more Bonus symbols on reels 3, 4, or 5, you’ll open up the Bonus Game from which you can win the progressive Jackpot or better yet, the Major Jackpot. Where is Pete the Pessimist? Ah, there he is waving us to join him in playing Mega Fortune Dreams. This game is for those who love free spins and bonus games. With a 94.6% winning probability, it’s time for you to stop reading our review and try out Mega Fortune Dreams! Copyright © 2019 Gameideas.co.uk . All Rights Reserved.